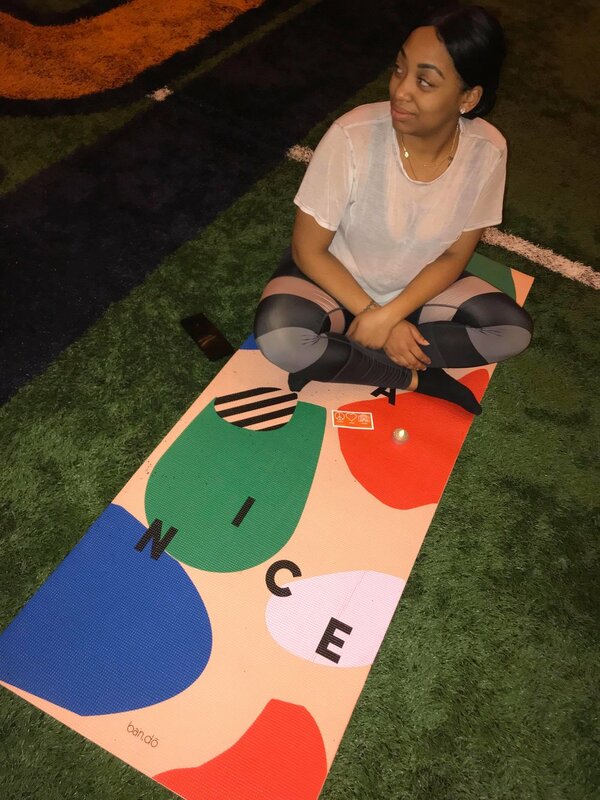 Shout out to Syracuse Yoga for the dopest yoga experience ever! 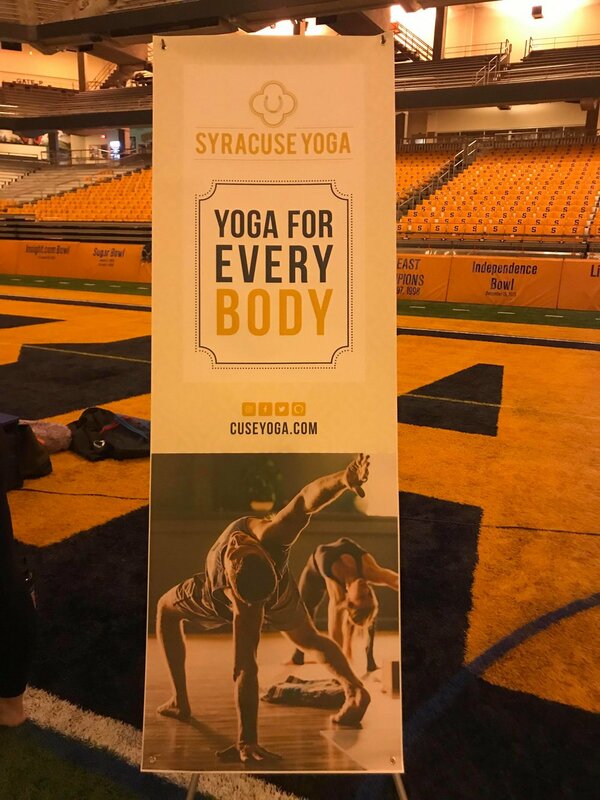 A FREE yoga event in the Syracuse Carrier Dome - yes you heard me right FREE! I can honestly say they truly stand by their slogan “Yoga for Everybody” the dome was filled with men, women, and children of all shapes colors and sizes. This was so welcoming and the energy in the room had me forgetting where I was for a moment. The vibe literally made me feel like we were in our own little world. · Sun Salutations - a series of yoga poses performed in a continuous flowing sequence and intended to improve the strength and flexibility of the muscles. Ever since I learned the series of poses for the sun salutations I’ve been doing them every morning before work! · Breathing - In yoga, the calming breaths you take relax your mind to help your body move in relaxed yet concentrated movements. The deep exhalation can be used for relaxing and removing the stress from the body and mind by releasing all negativity and tension with a deep haaaaaaaaaaah. · OM - Om is a mantra traditionally chanted at the beginning and end of yoga sessions. We started off our yoga flow with a deep long Ommmmmm (pronounced AUM). 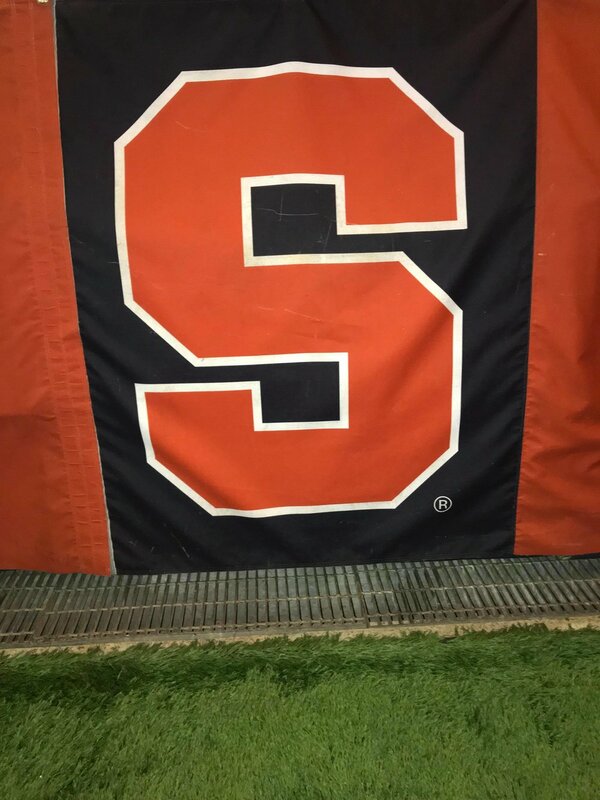 Simply saying this mantra with the entire room while hearing the sound echoing off the walls of the dome gave off a high spiritual power within the room. This in return created great energy to start a yoga flow. 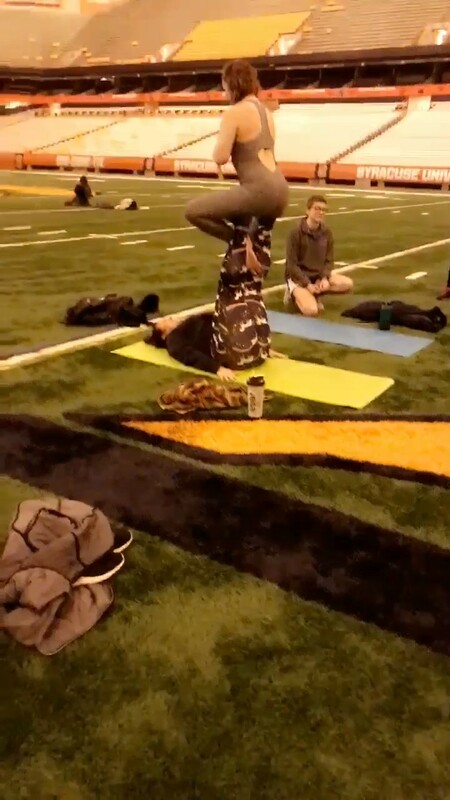 Not only did I learn so much about yoga from this event. I met some great people as well! The owner/teacher Sophie Tashkovski was a vibe all by herself. Her spirit lit up the entire room. Despite just recently losing her father, she embodied such grace, peace, and kindness. To be able to carry on with your spirit still high during challenging times takes a lot of strength and I truly admire and hope to some day be able to have that level of peace within me as well. Shout out to you Sophie! You’re Awesome! 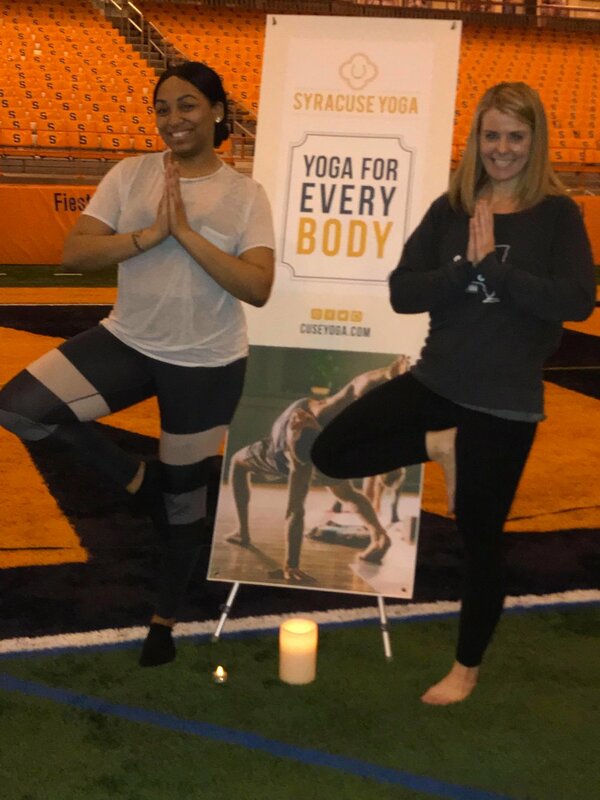 If you have never attended a yoga event keep an eye out for the next Syracuse Yoga event Yoga In The Carrier Dome. Or if you’re looking for a new yoga home I highly recommend them! They have many different types of classes fit for everybody. Be sure to follow them for updates. 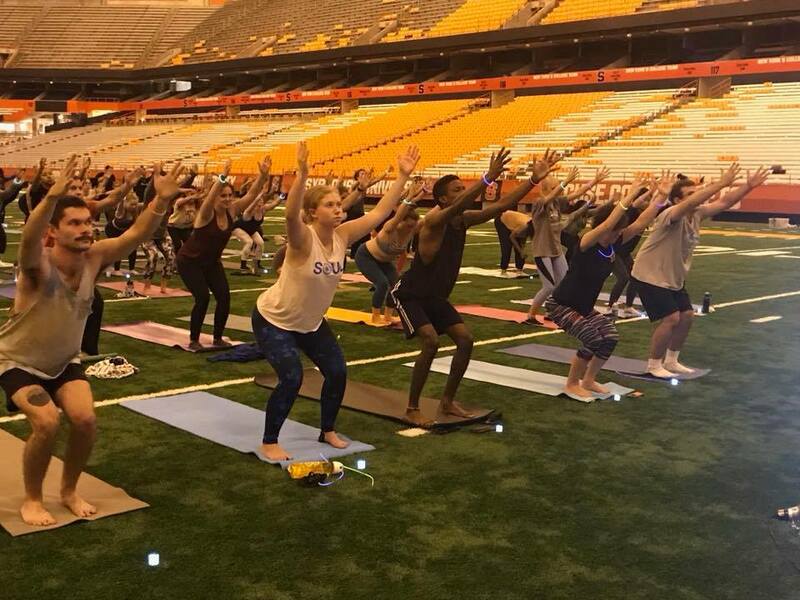 Check Out The Photos From The Syracuse Yoga’s event Free Yoga in the Carrier Dome! 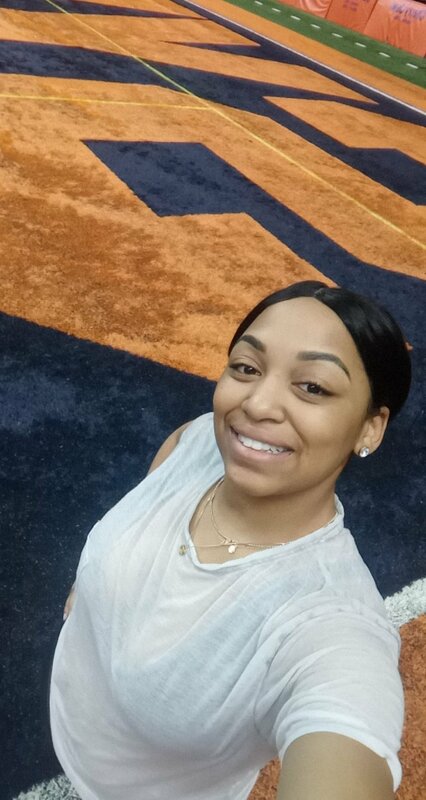 I am the founder of the blog She Elite; created to empower women to live an elite lifestyle by focusing on a balanced mind, body & soul.